Inventory is done to check and collect all the items or profits of a business or organizations, it is used to have all the Inventory List of equipment and items in a person’s property or business. Restaurant Inventory is mainly for appraising/evaluating the profit of a restaurant and verify the factors that affects the profit of the business from ingredients cost, equipment used, food preparation, dish cost, how many food are sold, labor cost etc. 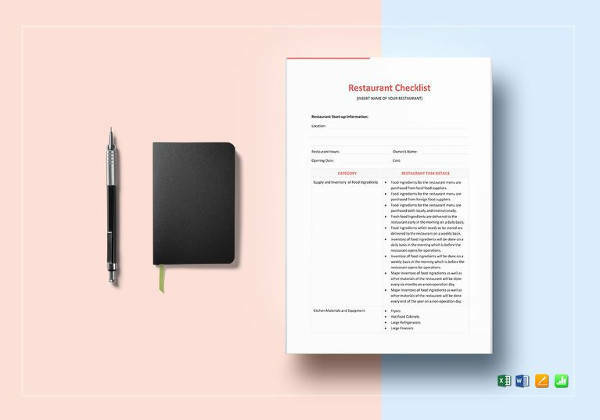 It must be ensure and run according to the restaurant policies when doing an Inventory Sheet Templates to avoid further problems.Restaurant managers are the one that usually do the inventory and show the report to the owner or president of the restaurant. It is usually checked by the auditor or by assigned personnel to check the inventory report to make sure that all that is written in the report is true and done according to the policies of the restaurant. 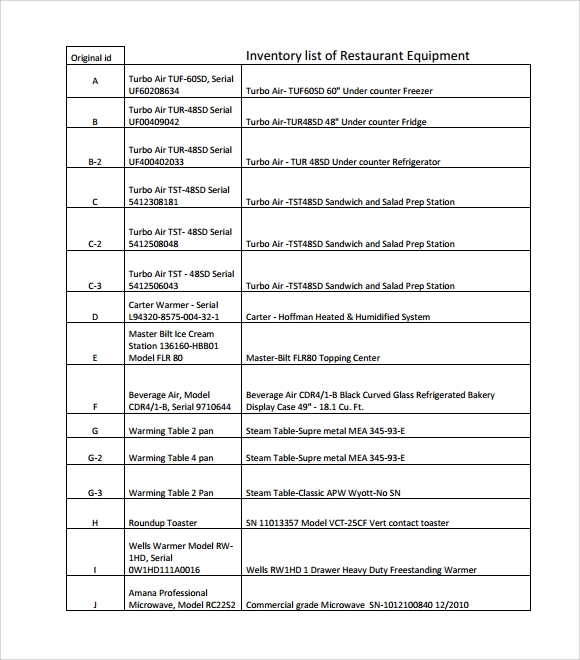 This restaurant inventory PDF gives you the details as to what can be the courses along with the other details mentioned specifically. The typical course of events is divided into two major sections: Actor action and system response. 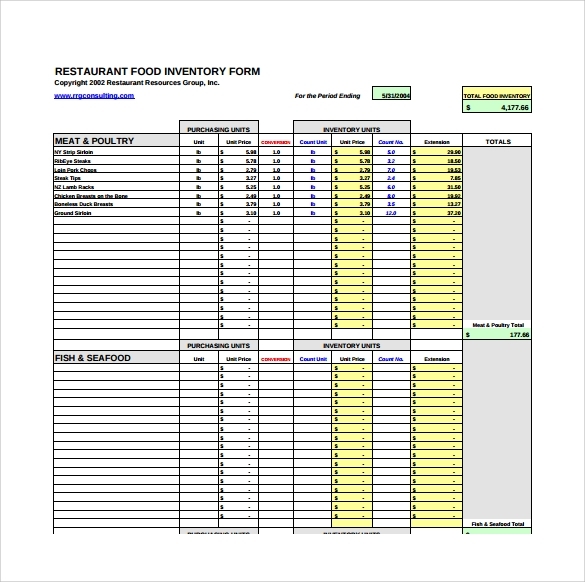 The restaurant inventory pdf gives you the entire description about what is needed and how. 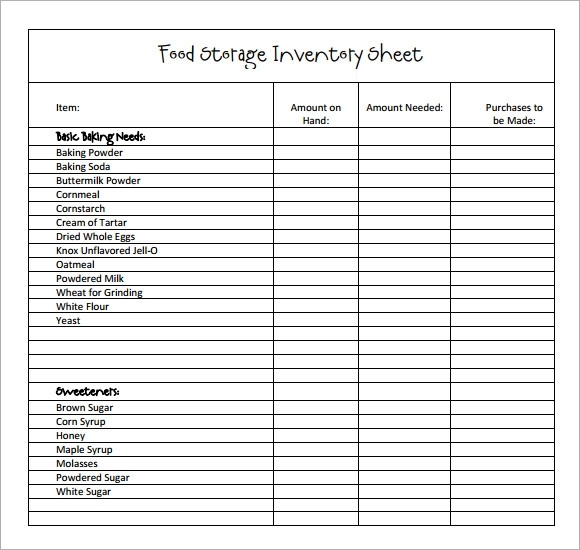 The food storage inventory spreadsheet gives you an idea about the different inventories. The amount on hand, amount needed along with the purchases to be made has been classified with relative ease. The spreadsheet helps you in giving you a quick recap. 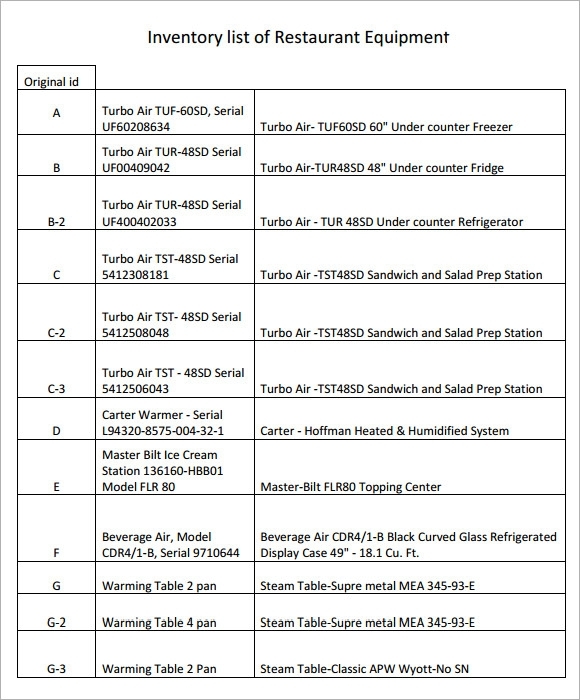 It is the list of the equipment required by the restaurant. The items which are required by the restaurant have been specified very clearly. The restaurant inventory list download gives the exact requirement. The restaurant inventory list download helps you in many ways. 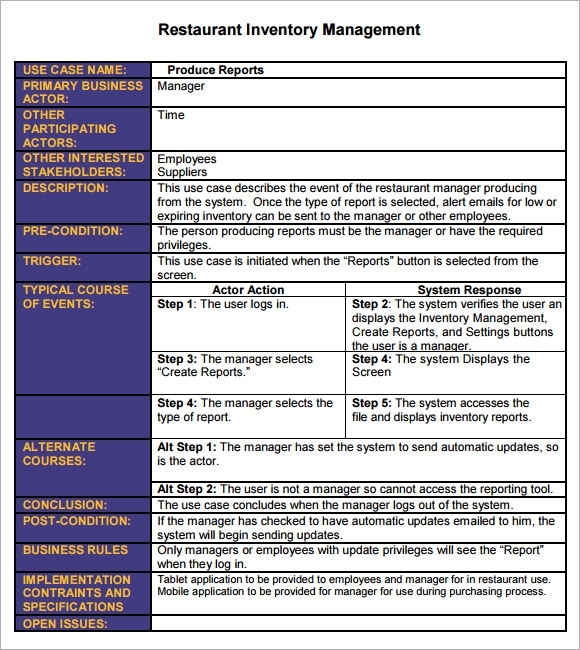 This template helps in keeping everything arranged in an orderly manner. It comes handy for the restaurant managers to neatly arrange the orders made by them and to note the time of order made. Why is Inventory Restaurant Management Essential? There are three main things to under the essentiality of the inventory restaurant management. It is used in monitoring of the Stock: There is a need to organize the existing stock along with the fresh stock. It tells us about the stock availability. 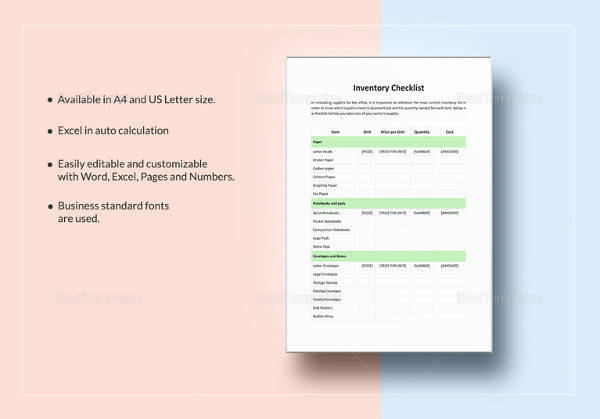 Material Management: This stock list is very helpful in the stock management as it is helpful in reordering of the samples along with the making a list of required items. Recipe Management and Costing: This helps in assessing of the raw materials very easily. 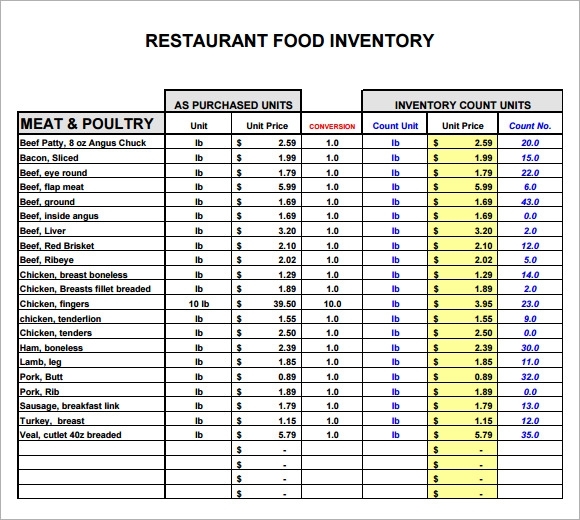 These inventory restaurant management and Food Inventory Templates helps in giving the best details to all. Set Quality Standards: So, giving the proper customer services helps in reaching a larger market area. It helps in reaching a massive set of people along with the management of other basic things. Controlling the Inventory: With the inappropriate inventory in stock there is a risk of disappointing customers and all the patrons. The reason is that you have to keep the stock in excessive quantity. Just Ensure your kitchen is well Staffed: There is an inadequate staffing that leads to unhappy customers. 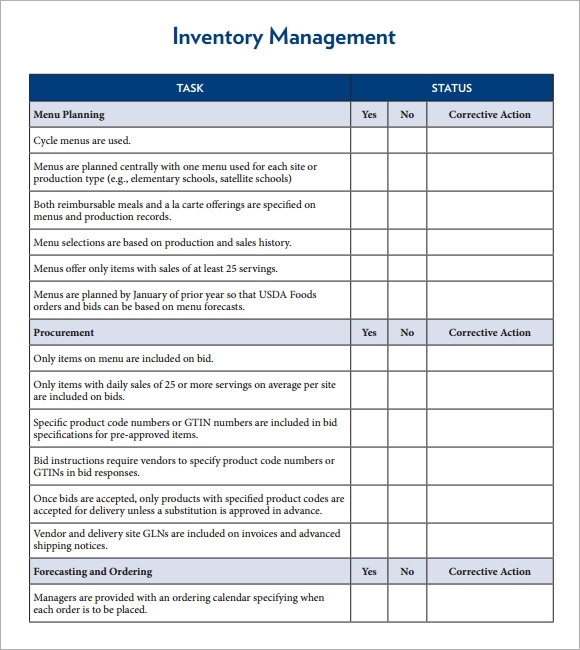 So, if your business requires maintain and control, then inventory control management is surely essential. You have to deal with best. Avoiding Stockouts: It is one of the worst things that you can actually do in business. The main thing is, to turn the customers away. The term stockouts not only helps in eliminating of the missed sales, it also makes you lose customers. Overstock Hazards: You actually have to deal with the overstock hazards. The longer any item is actually stored in the inventory, the greater are the chances of selling it. So, these are just the little things which actually require considerations. 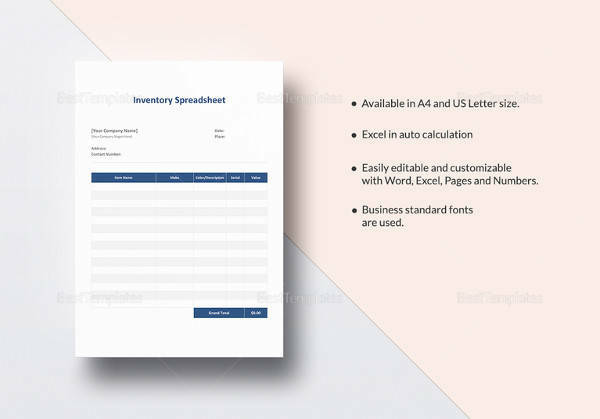 The inventory list helps you in giving all the essential items which are used by any organisation or any business. 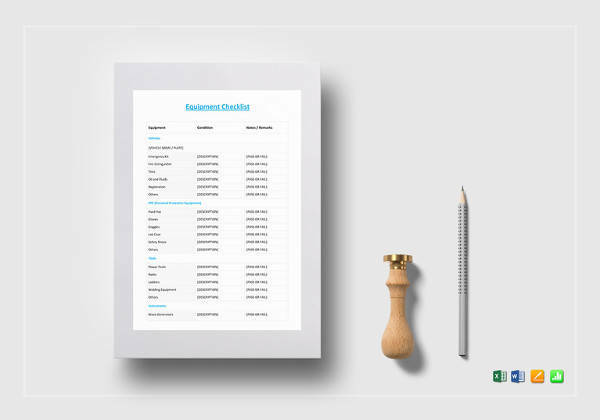 The restaurant inventory checklist helps in evaluating the profits and the features which have been required in any organization. It helps in keeping a recording of all the stuffs purchased.